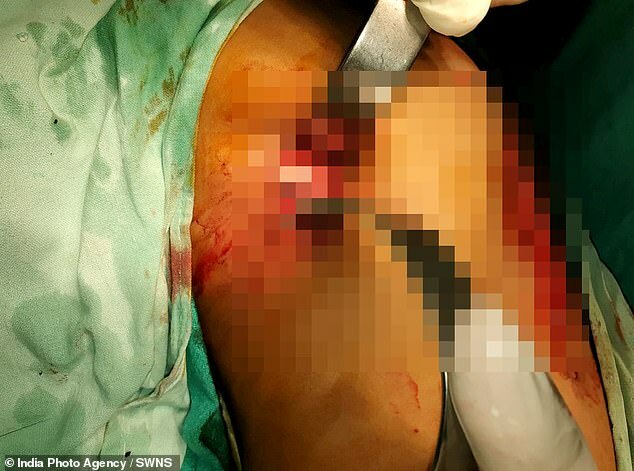 A boy miraculously survived after he was impaled through the chest by a branch – then walked his little sister home before he collapsed. Suresh Sakaram, eight, climbed a tree to get some plums for his little sister, but lost his footing and fell onto a branch below in the horror incident on Wednesday last week. It went straight through his chest and out of his back, then snapped off and the boy fell towards the ground. But amazingly, the brave boy stood up, took his six-year-old sister’s hand, and walked her the 100m to home, before collapsing, his family claim. 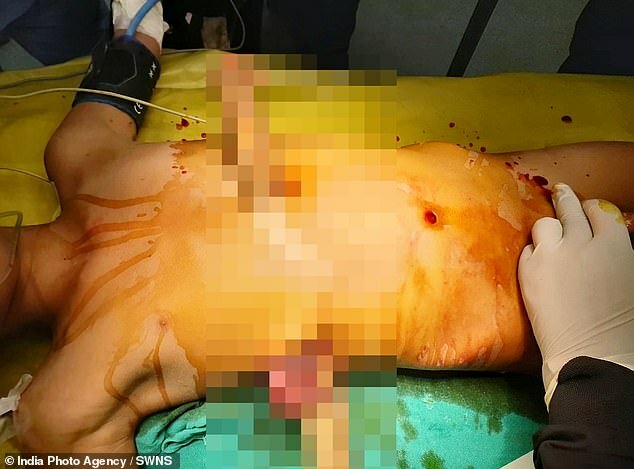 The 52cm stick – which missed his heart by millimetres – was removed by surgeons who said he only suffered a few broken ribs and an injured lung. 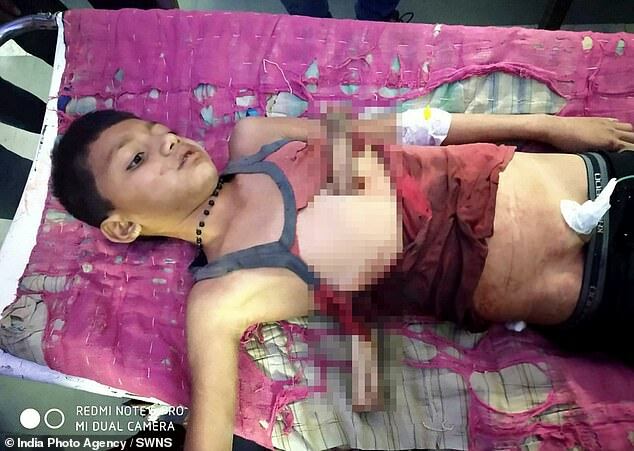 The lad from Budi village in Pati, India, is said to be ‘out of danger’ and recovering well. 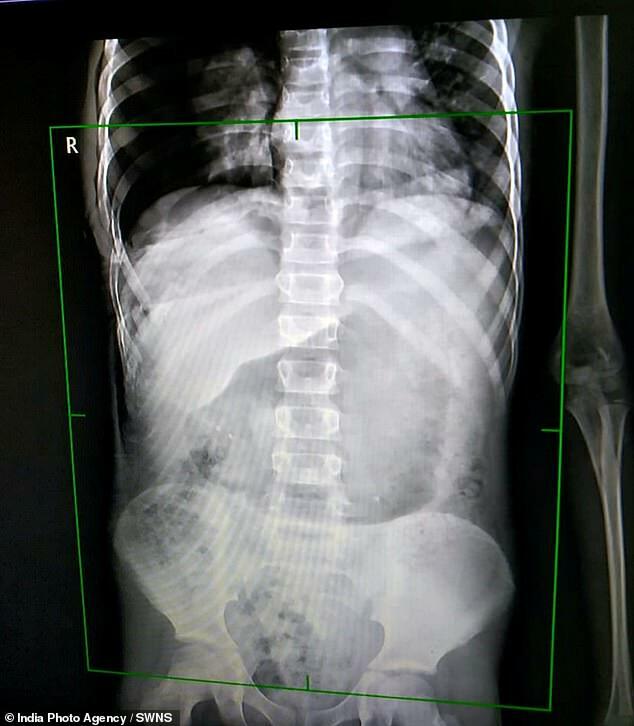 Dr Shashi Shankar Sharma, paediatric surgeon, said: ‘Surgery of this child was challenging because the sharp wood stick was penetrating near vital organs, heart lungs and liver. 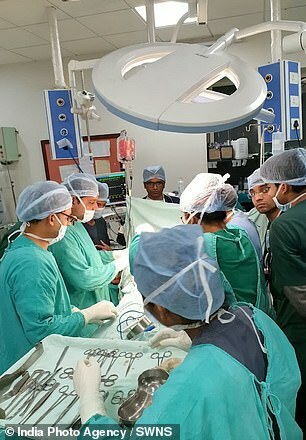 ‘The heart was just saved by a few millimetres and the liver was also fortunately unharmed. ‘Only part of right lung and rib cage were harmed and were successfully repaired. ‘The risk of injury to main blood vessels and massive bleeding was anticipated.